The desktop PC market, at least, appears not to be buying into Intel's Optane technology. Intel has officially killed off its “Core+” Optane boxed processor bundles for desktop PCs in the wake of Micron’s decision to buy out Intel’s stake in the 3D XPoint fab once jointly operated by both companies. The Core+ branding was reserved for systems that shipped with both Core processors as well as Intel’s Optane Memory technology, which speeds up the other storage in your PC. In a product change notification (PDF), Intel said that it would discontinue the boxed Core i7+8700, i5+8400 and i5+8500 by Sept. 30, though that’s only if supplies of the chips are still available. The last shipments will take place Dec. 27. Intel cited a “lack of market demand” as the reason for the discontinuation, in a document unearthed by Tom’s Hardware. It’s a relatively quick end for at some of Intel’s Core+ bundling plans. 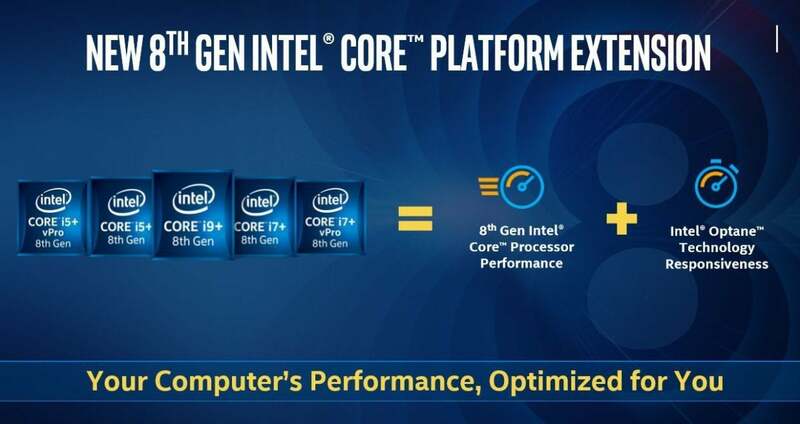 Intel said in April that the company was launching “Core i5+,” “Core i7+” and “Core i9+” brands, complete with stickers, to help inform buyers that the Optane technology was migrating into notebooks and desktops, and that the bundle was offering more than just the processor itself. The Core i7-8700, i5-8400, and i5-8500 are all older “Coffee Lake” desktop processors. Intel representatives said that the discontinued Core+ processors represent the entirety of its Core+Optane bundles in the desktop space, but that it will have no impact on Core+ bundles into notebook PCs. Desktop buyers are choosing to buy Optane memory technologies and their desktop processors separately, they said. 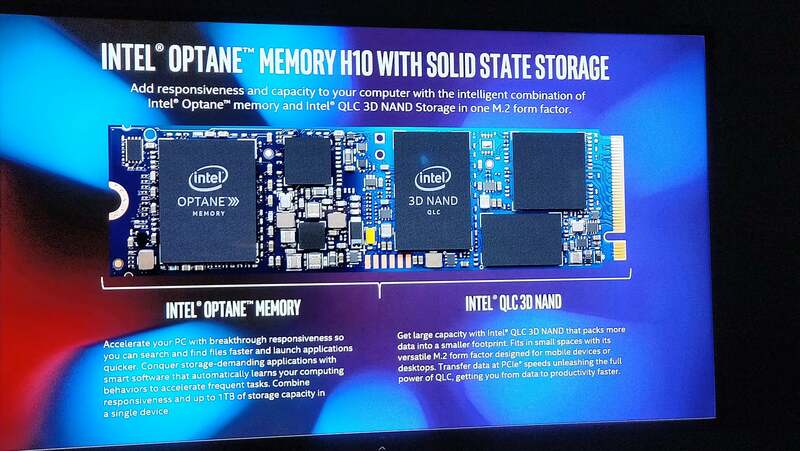 At CES, Intel announced a new product to combine an SSD and Optane on the same M.2 card, but it wasn’t officially part of its Core+ bundles. In fact, we didn’t see a single “Core+” notebook announced at CES. Intel’s decision was made as the company wraps up its partnership with Micron on 3D XPoint, which it announced in 2015 as a breakthrough memory technology that would include characteristics of nonvolatile storage and dynamic memory. On Monday, Micron said it would exercise its right (PDF) to buy out the fab it jointly operated with Intel to manufacture 3D XPoint memory, which Intel brands as Optane. The breakup wasn’t unexpected, as Micron had signaled its intention to terminate the agreement last year. Though Micron had once planned to sell an Optane competitor called QuantX, the company hasn’t yet managed to bring it to market. What this means to you: Intel doesn’t sound like it’s ready to give up on Optane quite yet. But either buyers simply don’t care about the technology, or Intel hasn’t done a good enough job explaining the Core+ branding to the general public. Either way, Intel apparently needs to rethink its strategy a bit.